Every now and then when I find myself somewhere between where I’m coming from and where I am headed I just can’t help myself — I have to turn off the main road to explore a back road. Even if I drive only a few miles down that road, I make new discoveries and always find interesting things to photograph. That’s what happened while recently traveling to South Texas. My wanderlust kicked in and beckoned me off the beaten path. 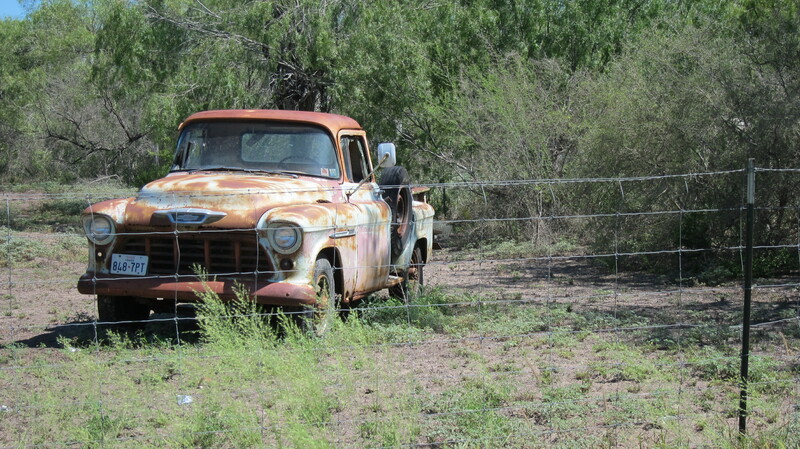 So, I slowed down and turned on to a caliche backroad near the rural community of Encino. Located eighteen miles south of Falfurrias on Highway 281, Encino is regarded as a “census designated place” and not a town because it does not have a municipal government. You don’t even have to blink to miss it. In 1832, a man named Luciano Chapa acquired a Mexican land grant called La Encantada y Encina del Pozo, translated “Enchanted Place and Live Oak in a Hole.” The name of the grant reportedly was derived from a large live oak around which animals seeking shade wore down the land under the tree. In the early 1900s, the Encino community was established at the site as a roundup point for cattle raised by Mexican cattlemen. In this vicinity once stood a magnificent live oak tree that was an early landmark on the South Texas Plains for many years, noted for its size and its wide canopy. It was located in a large hollow created by livestock that gathered beneath its branches and by winds that eroded the exposed soil. El Encino del Poso was a landmark for early trails and land grants. It also served as the location of a stagecoach station and as the basis for naming Encino. 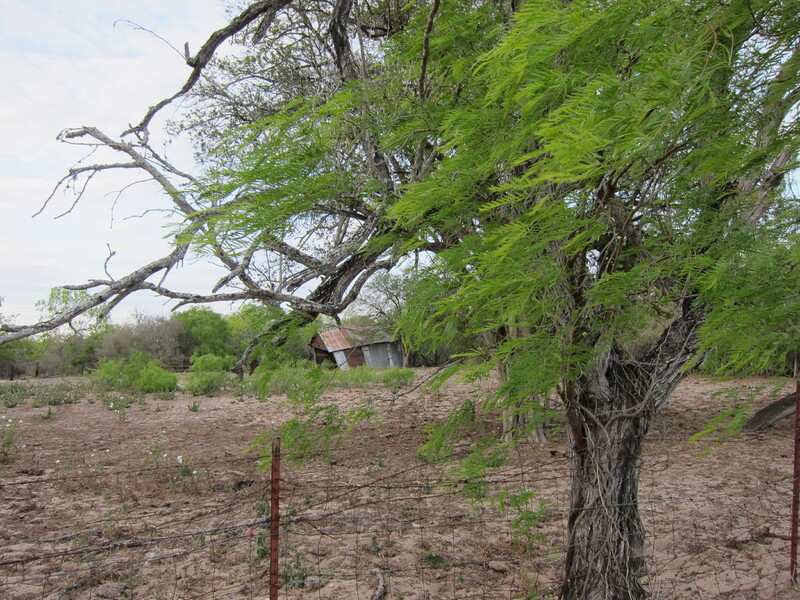 The tree died in the 1890’s, before the formation of Brooks County, the victim of an extended drought. Today, the backroads near Encino are accented by evidence of the passage of time — reminders that this is still hard country to tame. The proof is there in the form of weathered windmills, old shelters that look like they are melting into the brush, and assorted rusting remnants left behind by a previous generation. These old time-tarnished sights are starkly juxtaposed against a few newer homes and vehicles and farming and ranching implements. In 1996, families in the area fought to keep the local elementary school open when the Brooks County Independent School District was looking for ways to cut costs from their overburdened budget. Even families without kids got involved in the fight to save the elementary school established in 1949. The Dallas Morning News quoted the school principal as saying, “We don’t have problems with gangs. We don’t have problems with profanity. We don’t have problems they have everywhere else. The parents are trying to keep these kids in this type of environment as long as possible.” The involvement of families in the fight to keep their school reminds us that parents in small and large communities share a common concern about the welfare of their kids. The next time you find yourself traveling south on Highway 281, take a moment to slow down and look to the left and to the right as you drive past Encino. 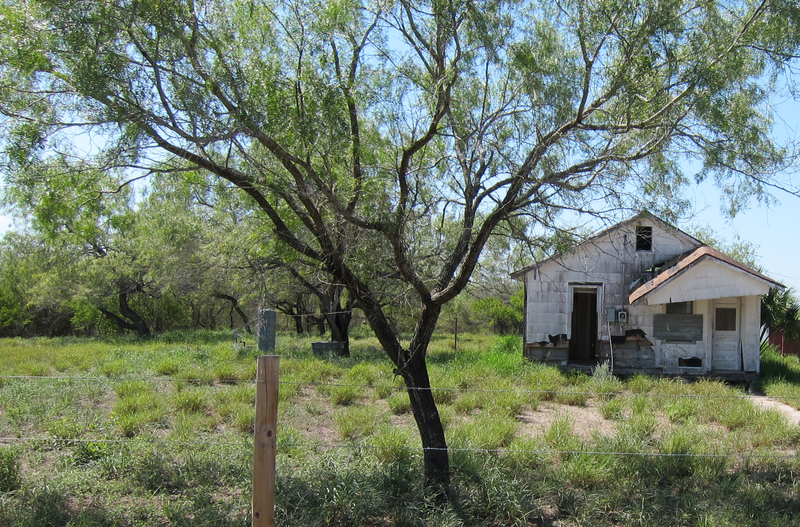 While Encino and other tiny Texas towns may not look like much from the road, there is more there than meets the eye! Encino is home to families that have lived there for generations and who care very much about the next generation. 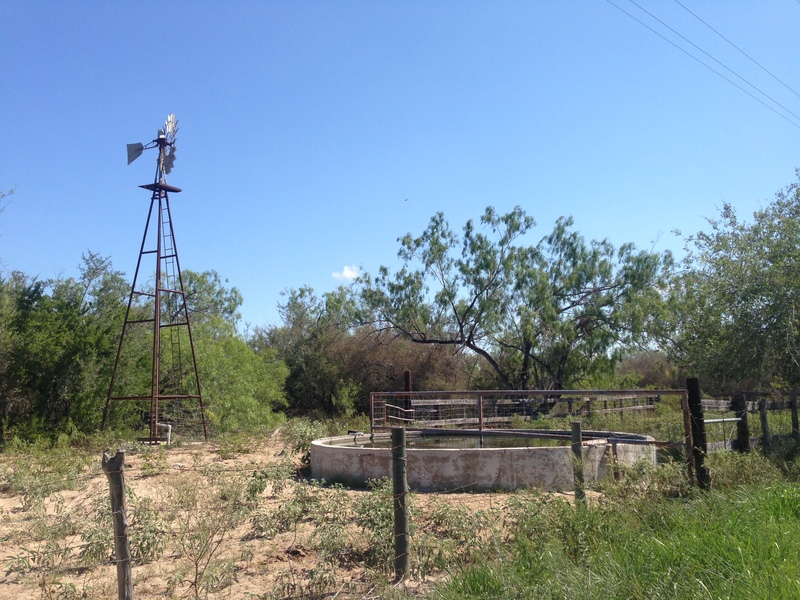 This entry was posted in Small Towns and tagged Encino, La Encantada y Encina del Pozo, Small Texas Towns. Bookmark the permalink. Another project completed at Dos Arbolitos, our little place in the Chihuahuan Desert. Built a firewood rack behind our shipping container. Looking forward to a nice campfire when Brewster County lifts the current burn ban. The colors of the Chihuahuan Desert on display. Beautiful wildflowers adding to the beauty of the vast wide open landscape of the wide part of Texas. Big Bend is ablaze with Lupinus Havardii — the tallest of the five species of bluebonnets in the Lone Star State. Beautiful blankets of blue in the Chihuahuan Desert and along Highway 118 north of Terlingua. So beautiful. Stopped by The Frosty in Woodsboro to eat one of my favorite burgers — their tasty Tortilla Burger. Good call. Really good. Search “tortilla burger” on my ExploreTexas.blog to read the history of this unusual burger.